ReveraGen BioPharma, is a clinical stage biopharmaceutical SME engaged in the discovery, development and commercialization of proprietary, small molecule therapeutic products for the treatment of neuromuscular diseases, particularly muscular dystrophy. The company works from early- to mid-stage small molecule drug discovery and development through proof-of-concept clinical trials in neuromuscular disease patients. Based in the US and UK ReveraGen holds the Orphan Drug Designation for VBP15, and aims to develop this product for the chronic treatment of Duchenne muscular dystrophy (DMD), while also developing second generation product candidates for additional indications. 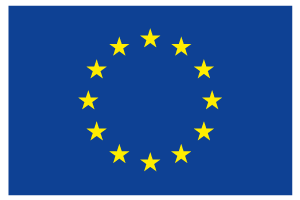 ReveraGen will coordinate and manage drug production, and clinical and regulatory contracts in both the EU and USA. TRiNDS (Therapeutic Research in Neuromuscular Disorders Solutions) is the contract research organization that manages and coordinates CINRG studies. TRiNDS offers four keys solutions for clinical trial needs: 1) Clinical Operations, 2) Data Management, 3) Biostatistics, and 4) Study Endpoints. TRiNDS coordinates the Phase 2a and Phase 2a extension clinical trials for all four key areas. TRiNDS will coordinate the data management and some clinical operations for the Phase 2b clinical study. The World Duchenne Organization (formerly known as UPPMD) is a worldwide organisation dedicated to finding a cure and viable treatments for DMD, promoting good standards of care, and providing parents with access to the most up to date information. WDO is a global patient advocate for patients with Duchenne Muscular Dystrophy, discussing implementation of standards of care, trial design, recruitment, outcome measures and access to new developments. WDO is owned and managed by parent project organisations set up by parents of children with Duchenne Muscular Dystrophy in many different countries all over the world. These national projects are run by parents for parents. WDO will play a fundamental role in communication and dissemination for the project. The John Walton Muscular Dystrophy Research Centre (JWMDRC) is the Newcastle arm of the MRC Centre for Neuromuscular Diseases, a clinical and research reference centre that forms part of the Institute of Genetic Medicine, a leading research organisation within Newcastle University working together with the Newcastle hospitals. It is an internationally recognised centre of excellence for diagnosis, management and research into inherited neuromuscular diseases. In partnership with the Institutes of Neurology and Child Health at University College London, the Newcastle centre was selected to be part of the UK Medical Research Council’s first translational research centre for neuromuscular diseases, an initiative which aims to promote multidisciplinary translational research activity in these diseases. As project coordinator, the team at JWMDRC will provide leadership in the management and implementation of the project and clinical activities. ECRIN is a non-profit organisation that supports the conduct of multinational clinical trials in Europe. We primarily provide trial management services, as well as advice, information and protocol review for the preparation and validation of multinational, investigator-led trials. We develop and disseminate tools such as databases on regulatory and ethical issues, outcome measures, and risk-based monitoring. In addition, we contribute to collaborative projects aiming to establish shared services in biomedical areas, further develop infrastructure, and foster international cooperation in non-commercial trials. ECRIN’s organisational model is based on country membership. It currently has seven Member Countries (France, Germany, Hungary, Italy, Norway, Portugal and Spain) and two Observer Countries (Czech Republic and Switzerland). Each country has a European Correspondent (EuCo) who manages the clinical trial portfolio and coordinates with the national scientific partner (i.e., network of clinical trial units, or CTUs), with support from the Paris-based Core Team. Ceratium Limited specialise in developing and managing research and innovation projects for a range of clients, providing European funding expertise in Horizon 2020 and other EU Programmes. Ceratium provides a range of services that include; developing research strategies, identifying funding options, preparing proposals, supporting contract negotiations, project management and exploitation, communication and dissemination activities and training. The Department of Biology and Medical Genetics (DBMG) of University Hospital Motol is a multidisciplinary facility which comprises various units such as classical / molecular cytogenetics, molecular genetics, assisted reproduction, genetic counselling and a sizeable research section. DBMG closely collaborates with the Department of Paediatric Neurology (DPN) at FNMOTOL which is among others the national expert centre for patients with neuromuscular disorders with long-term experience in diagnostics, therapy and clinical trials. The Centre is one of the leading national Centres for RD NMD with high level of international collaboration. 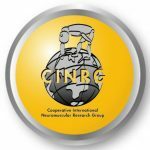 The Cooperative International Neuromuscular Research Group (CINRG) is a consortium of clinical sites that was founded in 1999. The consortium is governed by by-laws and an elected executive committee. CINRG’s goal is to contribute to the research and treatment of neuromuscular disease by studying the cause(s), pathogenesis and study endpoints of the disease. This is done by conducting well-controlled clinical studies that examine promising therapeutic interventions that may improve or extend quality of life for patients. Over the past 15 years the network has been a leader in academic based neuromuscular clinical research and has completed over 10 clinical research studies. All CINRG clinical study sites are set-up in a consistent and regulatory compliant fashion with uniform training procedures and outcome equipment. The Luxembourg Institute of Health is a public research organisation at the forefront of biomedical sciences. With its strong expertise in population health, oncology, infection and immunity as well as storage and handling of biological samples, its research activities are dedicated to people’s health. At the Luxembourg Institute of Health, more than 300 individuals are working together, aiming at investigating disease mechanisms and developing new diagnostics, innovative therapies and effective tools to implement personalised medicine. The institution is the first supplier of public health information in Luxembourg, a strong cooperation partner in local and international projects and an attractive training place for ambitious early-stage researchers. LIH’s Clinical and Epidemiological Investigation Centre (CIEC) is a national center coordinating the activities of clinical research involving clinicians in various medical fields and is also a contact partner for the pharmaceutical industries interested in conducting clinical trials. The CIEC is striving to ensure respect of patient rights and patient data privacy, while offering the opportunity to access new and innovative therapeutic approaches that would not be accessible otherwise. This project has received funding from the European Union’s Horizon 2020 research and innovation programme under grant agreement number 667078.